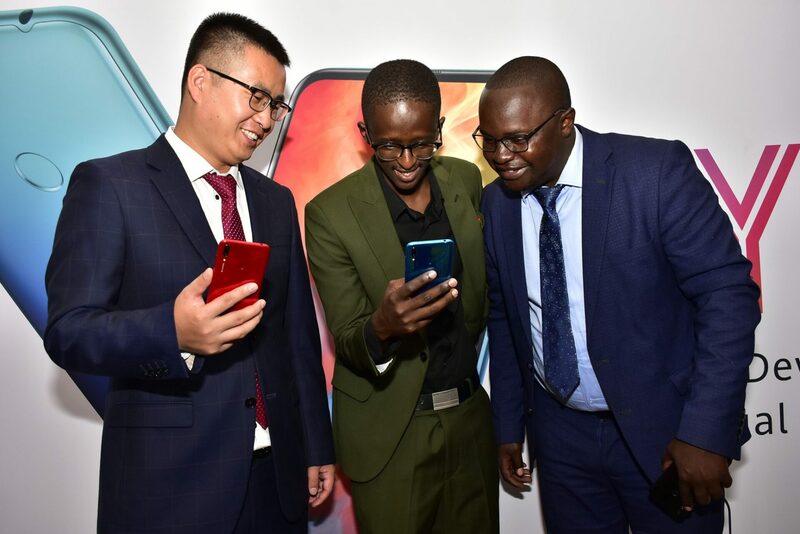 Steven Li, Huawei's Head of Eastern Africa Mobile, popular comedian and influencer Njugush and Derrick Alenga, Training Manager during the launch of Huawei Y7 Prime 2109 into the Kenyan market. Steven Li, Huawei’s Head of Eastern Africa Mobile, popular comedian and influencer Njugush and Derrick Alenga, Training Manager during the launch of Huawei Y7 Prime 2109 into the Kenyan market. Huawei Mobile has launched its Y7 Prime 2019 smartphone in the Kenyan market with a retail price of Kshs 17,999. Seeing the hard economic times and strong advice from the USA against Huawei devices, the controversial Chinese government controlled company has also partnered with Lipa Later to allow buyers of its smartphones to pay later. The phone will be available on pre-order that kicks off today until 7th of February. Consumers who pre-order will receive a gift hamper as an appreciation from selected stores and will be entered into a lucky draw where winners might walk away with a 40” screen TV, a Huawei Band 2 and other gifts. The Huawei Y7 Prime 2019 features a 6.26-inch HUAWEI Dewdrop display, 13MP AI Camera with a f/1.8 wide aperture lens, two-day battery and an octa-core Qualcomm SoC Snapdragon 450 chip. At the back is a 13+2MP AI Camera while the primary 13MP camera has a wide aperture of f/1.8 with 16 virtual f-stops (supporting f/1.8-6) to provide granular controls over depth of field effects. The camera also supports Master AI, which in HUAWEI Y7 Prime 2019, recognises 22 categories of objects and scenes. HUAWEI Y7 Prime 2019 comes with EMUI 8.2, 4000mAh battery and also supports expandable storage of up to 512GB via the microSD card slot. Huawei has been aggressively marketing in Africa as it struggles to find footing elsewhere with US and Europe recognising it as a Chinese government spying arm. It has also used Safaricom to penetrate the market with the mobile provider forcing its Fibre to the Home clients to use only Huawei routers.